The original Zorki evolved into Zorki-2, Zorki-S and 2S. 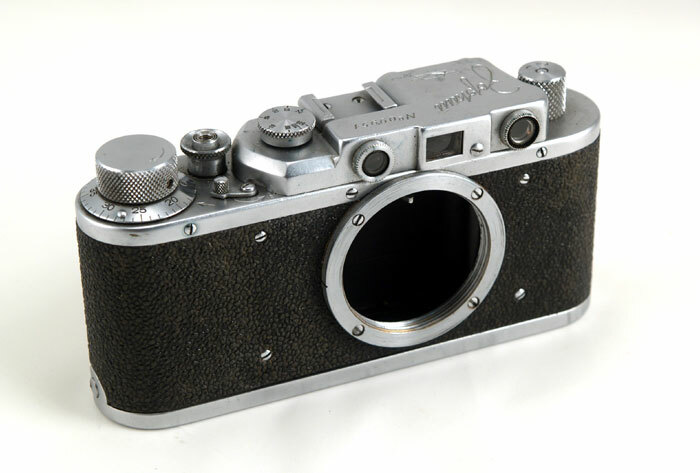 Another line was started in 1951 with the Zorki-3 (3M, 3S, 4, 4K). Zorki-5 and Zorki-6 were in production for some time, but were outlived by Zorki-4 and 4K. We can not specified exact Zorki type available in stock - they are changing constantly. If you are interested in a particular type (from 1b to 1e) - please inquire. Shutter speeds - B, 1/20 - 1/500. The camera accepts and RF couples to the whole range of Leica threadmount lenses. This Zorki body is in EXC condition. The leatherette is complete, the chrome finish is clean overall, with some specks on the top plate. This Zorki body comes complete with a take-up spool. The Zorki is a capable user and a nice and desirable collectible camera. 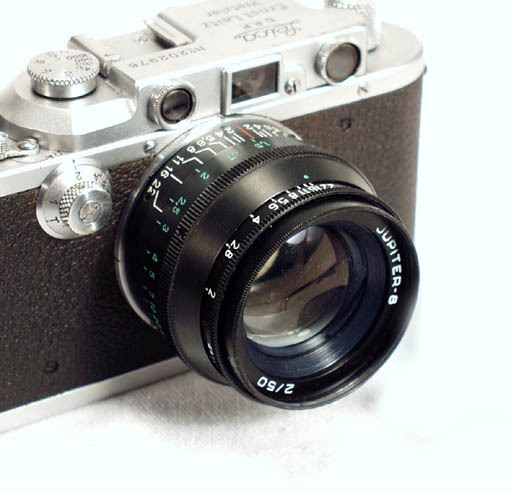 You can use any 39mm Leica lens with the Zorki body.